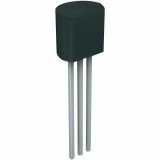 Transistor 2N4393, N-JFET, 40 V, TO18 Transistor 2N4393, N-JFET, 40 V, TO18. 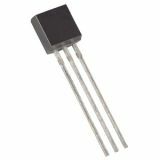 Transistor 2SK1875 N-channel JFET 20 V, 32 mA, 0.1 W SMD Transistor 2SK1875 N-channel JFET 20 V, 32 mA, 0.1 W SMD. Transistor 2SK212 20V, 20mA, 0.2W Transistor 2SK212 with power 200 mW.